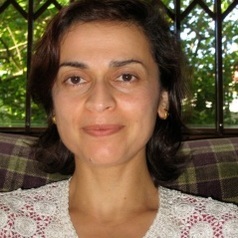 F. Fiona Moolla (PhD, UCT) is a specialist in the novel, as well as African literature and orature. She has a special interest in cultural and philosophical constructions of the person in African, European and Islamic worlds. This translates in practice into an ethical concern with human beings in a dynamic, connected, charged cosmos. Dr Moolla’s monograph, Reading Nuruddin Farah: The individual, the novel & the idea of home will be published by James Currey in March 2014. Some of her recent publications include: “The Body Unbound: Ritual Scarification and Autobiographical forms in Wole Soyinka’s Aké: The Years of Childhood ” (The Journal of Commonwealth Literature), “When Orature Becomes Literature: Somali Oral Poetry and Folk Tales in Somali Novels” (Comparative Literature Studies) and “Border Crossings in the African Travel Narratives of Ibn Battuta, Richard Burton and Paul Theroux” (Journal of Postcolonial Writing). Dr Moolla has been a recipient of both Mellon and Fulbright scholarships and has received university awards for research and teaching. Her experience includes freelance journalism and non-academic publication. She is the author of award winning published short fiction (HSBC/SA Pen, judged by J.M. Coetzee) and children’s fiction and non-fiction on literary topics (Cambridge UP).